Connoisseurs of music are in for a treat as music maestro AR Rahman is being featured with world famous Babelsberg Orchestra of Germany in live concerts across the country. The Indian tour of Rahman and Babelsberg, titled "Classic Incantations" , will kick off from Mumbai on January 20. This will be followed by performances in New Delhi, Kolkata, Bangalore and Chennai. The event assumes significance as the German musicians will play to the tunes composed by Rahman for various Indian films. The details of the programme were announced in Chennai on Wednesday by Rahman himself. The 100-piece orchestra from Germany will also feature young musicians of KM Music Conservatory, a music school launched by Rahman himself. “We will create a new high point for music lovers across India through these concerts. 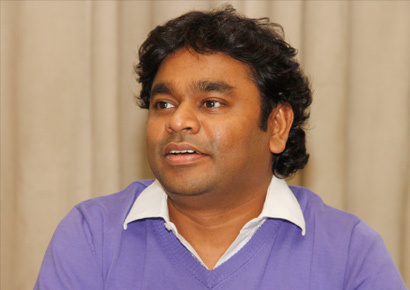 I hope to inspire youngsters to take up music composing in a big way through these concerts,” Rahman told reporters. The Babelsberg group will play Rahman’s music from Roja to Robot, making it the first ever western classical orchestra performing the maestro’s music in India. The concert is in connection with 60 years of diplomatic relations between India and Germany. “This is also the centenary year of the Babelsberg Studio in Germany, rated as the largest film studio in the world,” said Rahman.